Simply toss your Wingoball over the line? Too easy! Well, it does get a bit harder than that - there are planterboxes to block your path, and even cheeky gnomes that steal your ball! 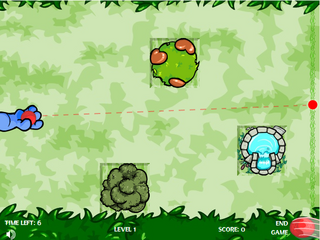 The controls for Wingoball are really very simple - you just left click where you want the ball to go. It is incredibly easy to play, though it does get a bit harder with the addition of planterboxes, as well as green- and red-hatted gnomes. Each level is also timed, though personally I find I don't really notice. You get 30 seconds to complete each level, and that's plenty! Usually aiming only takes a couple of seconds, so even if you don't make it over the finish line on your first try there's time for quite a few more! Planterboxes act just like walls to block your path. You can bounce off them as much as you like but remember, if you hit one dead-on your ball will rebound back to your hand and you will have to start again. 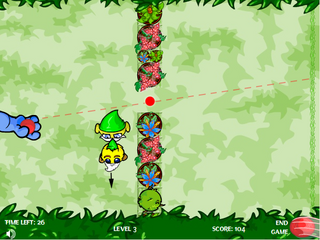 Green gnomes act pretty much like planterboxes - if you hit one your ball will rebound. The only real difference is that they can move so you must anticipate where they will be when your ball reaches them. Red gnomes, on the other hand, are different. They actually steal your ball if you hit them! They can be either stationary, or moving, but whatever the case - avoid them! 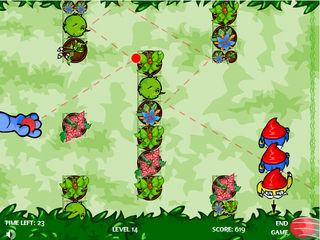 The tricky part of the game comes when the ball has to go around a wall or dodge a gnome, becuase then you have to bounce the ball off the walls/planterboxes and where you click depends on what you want to bounce off of. However there are specific spots that you can click though, so your ball bounces properly around the obstacles most of the time (see Tips and Strategies). There are two possible bonuses that you can get for each level. The time bonus is just the number of seconds left on the timer, if you can aim quickly then thats usually about 25-28 points. The other bonus is a flat rate of 30 points that is awarded every time you complete a level using only one Wingoball. 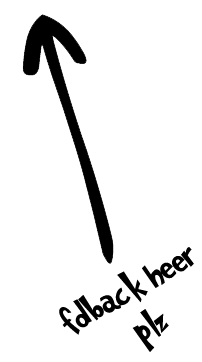 In nearly every level there is a spot that you can click to almost guarantee your ball will go over the line - which makes the game very simple! For each level I have made a screenie to show you where, exactly, you have to click. Once moving gnomes are introduced, screenies also show where they should be - and what direction they should be moving in - when you release your wingoball. There is a possibility that your stage may be inverted, meaning everything will be flipped up and down. If you get a flipped stage, the spot will still work, it will just be exactly vertically opposite it's position below. So if the spot is shown below n the bottom left, if your stage is inverted, it will be in the top left for you. The very easiest level - just click on the finish line! Again, this level is pretty easy. If you click in the middle of the first planterbox (red dot in the screenie) your wingoball will bounce perfectly over the line. 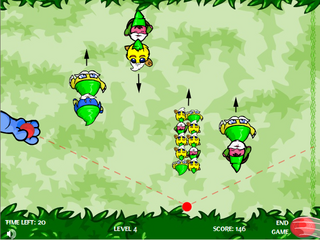 The first level with green gnomes, level three is really simple - wait until the gnomes have just passed the gap and click in the space. 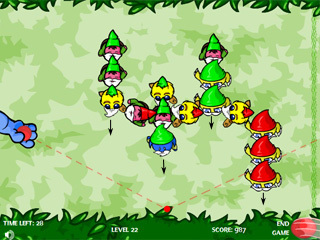 For this level wait until the group of ten tiny gnomes have just started moving back up to the top of the screen and then click on the grass directly below their path. 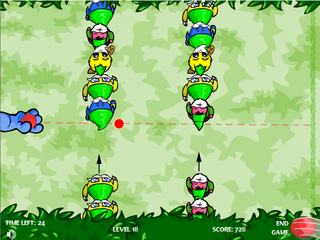 Yet another really simple level, click on the tip of the large blade of grass under the four gnomes and let the ball bounce over the finish line. 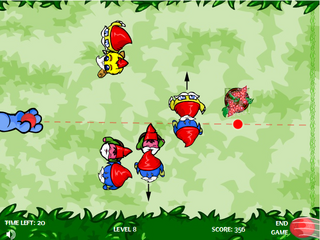 This is pretty much like level three, except the gnomes are red, not green, so if you hit the them your ball disappears. 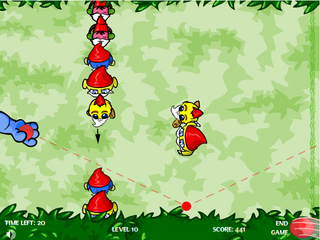 Click the finish line just as the red gnomes pass in front of you. 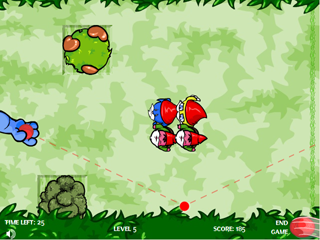 As hard as this level looks if you simply click on the grass under the red dot your ball will sail past the army of red gnomes. It starts to get a bit harder now - and timing becomes really important. 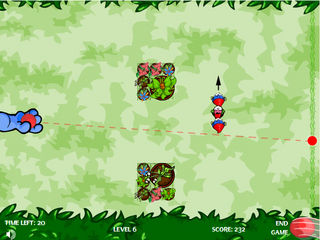 For this level, click under the planterbox just as the first pair of gnomes passes on their way down. I know it looks like the ball will hit the second pair, but by the time your ball gets there, they will have moved out of the way. 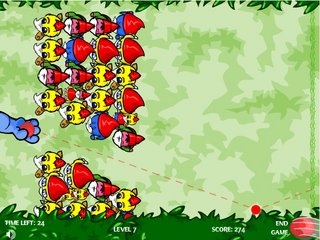 This level's pretty easy actually, click in the gap above the line of red gnomes once the green ones have passed in front of it and are heading back down to the bottom of the screen. Your ball will bounce neatly through the gap. 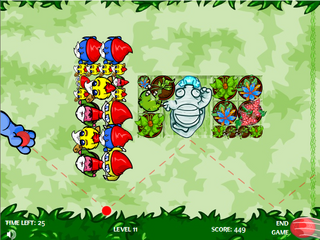 This is one of the hardest levels to get the timing right, because the gnomes move so fast! 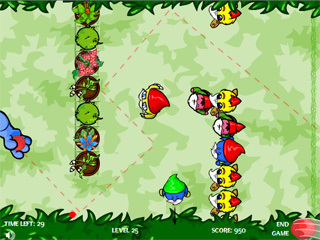 Try to click when the gnomes are exactly as they are in the picture, by the time your ball passes them the gap will have moved to the right place. The optimal spot to click is quite small on this level - you have to click on the very tip of the blade of grass under the red dot. This is another level where timing is important. 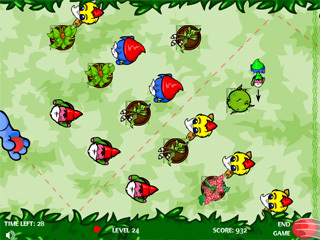 You have to click between the two planterboxes under the dot just as the two gnomes are about to hit the bottom of the screen, so once the ball gets there they will be at the top. 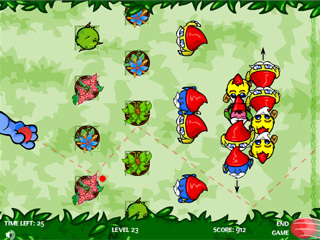 In my opinion this is the very worst level beacuse you have to co-ordinate the timing between the green gnomes and the red ones. For the red ones, click when they are together, and for the green ones try to have them as close to the middle of the screen as possible when you click. 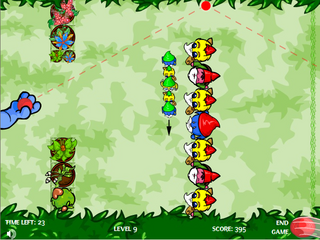 Another timing level, you have to click where the dot is just as the three red gnomes are about to turn at the bottom. 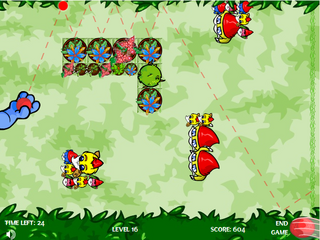 This level's pretty easy, except that sometimes the ball bounces back the way it came for some really weird reason. Just click where the dot is and hope it doesn't for you! 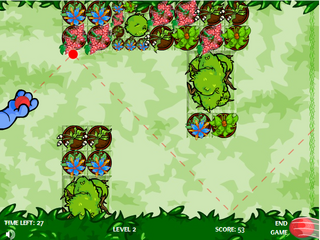 Once I figured out the right place to click for this level it got really simple - just make sure you click between the two blades of grass under the red dot. 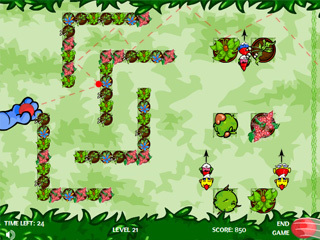 This level isn't hard exactly - but there is no hard and fast time to click so new players might find it a little tricky. 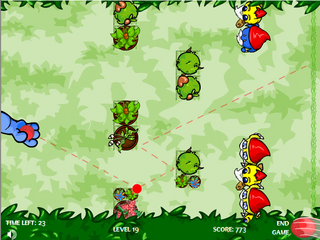 I've put a dot in where I usually try to aim, but really you can try to get around the gnomes whichever way you like. As long as you make it under the first line of gnomes the ball *usually* bounces around a bit and eventually finds a gap to get though the second line but not always. 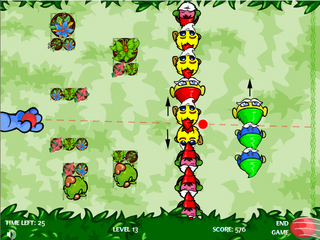 Its more of a practise thing - the more you play this level the more you get used to which timing works for you. Another fairly straight-forward level - click just before the first gap passes in front of you and hope it goes through the second! It'll probably bounce a bit, rather than go straight through as the line on the picture shows though. Thats okay, it should go through eventually. 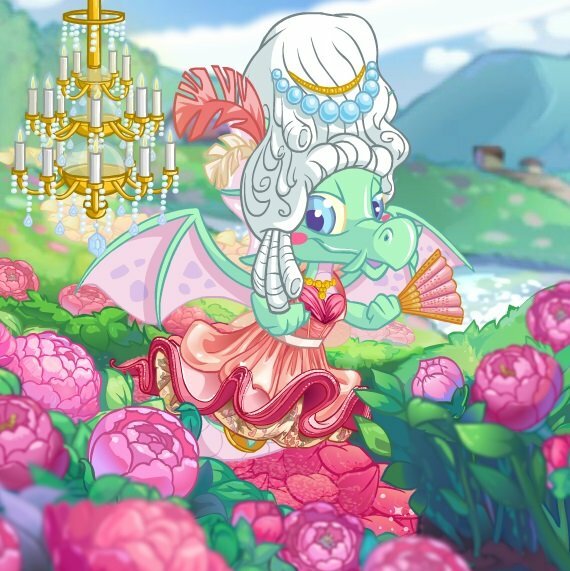 This is another really simple one! There's not even any gnomes at all. Simply click the corner with the red dot, watch the ball bounce around a bit, and thats it. For this one you want to click under the middle set of green gnomes. Try to time it so that you *just* make it past them before they turn, that way you should avoid all the other gnomes as well! You want to click just to the right of the planterbox in this level, when the gnomes are in a similar position to the screenie. 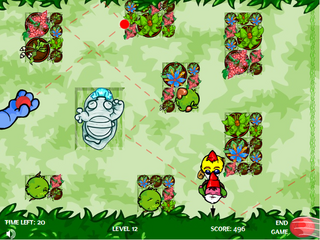 If you got the spot and the timing right then you'll bounce along the path marked in the screenie and miss the gnomes. 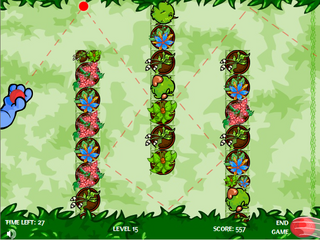 Once you know where to click, this level is fairly easy. 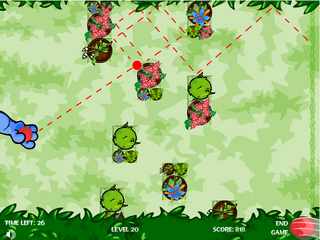 You want to be clicking near where the red dot is - not on the path as you've done previously. 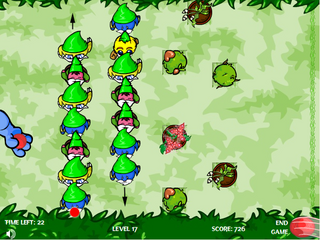 Make sure the green gnomes are near the top but heading down when you click. And for the final level... well it is the last one so I suppose they had to make it difficult! Timing is everything for this one - you want to click around where the red dot is when the green gnome is about to change direction and head back to the top. This way he will be in the right position for your wingoball to bounce off on its way through the level. Practice really does make perfect on this one, jut be patient and eventually it'll click for you! So in conclusion, we've learned how to contol and aim the wingoball, and where to click to get the wingoball over the finish line in each level. Just remember: practice, practice, practice! Eventually you will get used to aiming and moving quickly so you can get the one-wingoball bonus and maximize your score with the time bonus. You'll have that trophy in no time! The Snowager is awake. He'll be sleeping in 6 hours, 20 seconds.